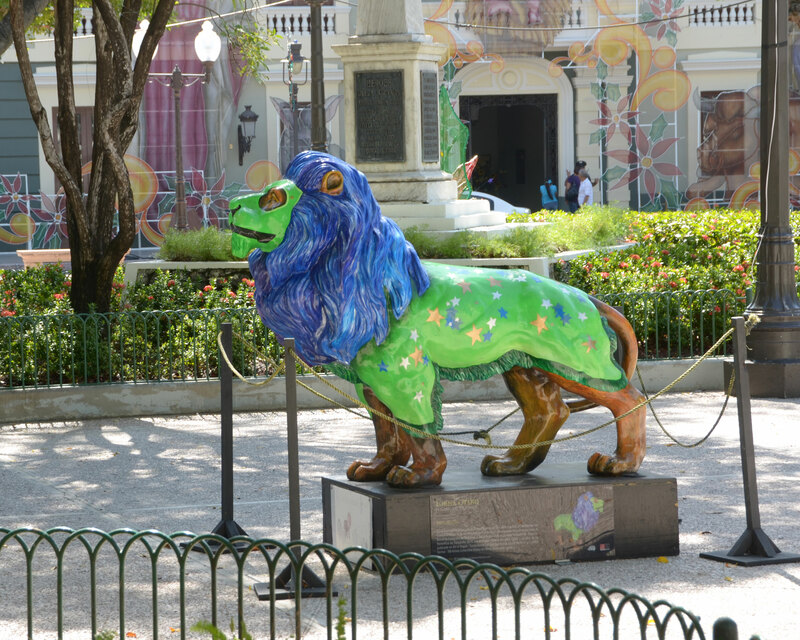 What a surprise to find a “Parade of Lions” in the Plaza las Delicias – the main plaza of Ponce (home of the famous firehouse and the cathedral). 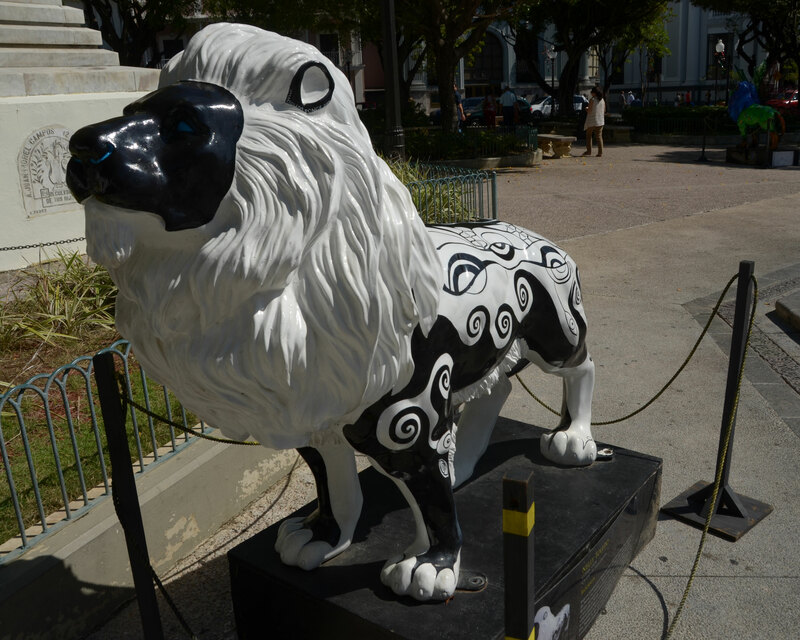 We had seen a similar display of public art some years ago in Chicago where there were painted bulls all over the Golden Mile. Here, fittingly, they are life size lions! 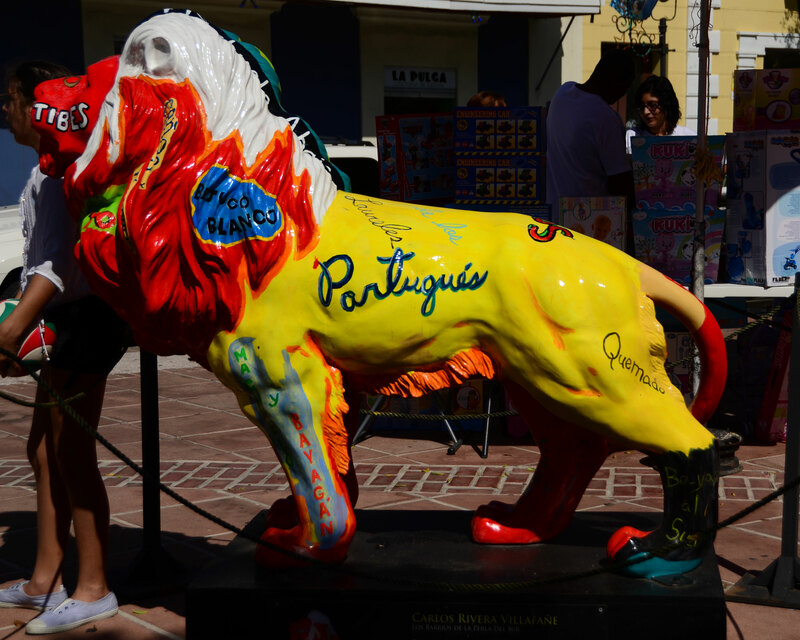 In case you are not aware – the lion is the symbol for the city of Ponce (pronounced “pawn-say” not “pons”). Ponce is the second largest city in Puerto Rico, and is known by different names like “la Perla del Sur” (the pearl of the South) and la ciudad sensorial (interpretations?) . There is quite a rivalry between sanjuaneros (residents of San Juan) and ponceños (residents of Ponce) as to who lives in the better city. One of the major differences in the two cities is historical. The Spanish established their capitol and base of operations in San Juan – forming its Spanish character. Ponce, on the other hand, was always an international port, with influences from all over the world. 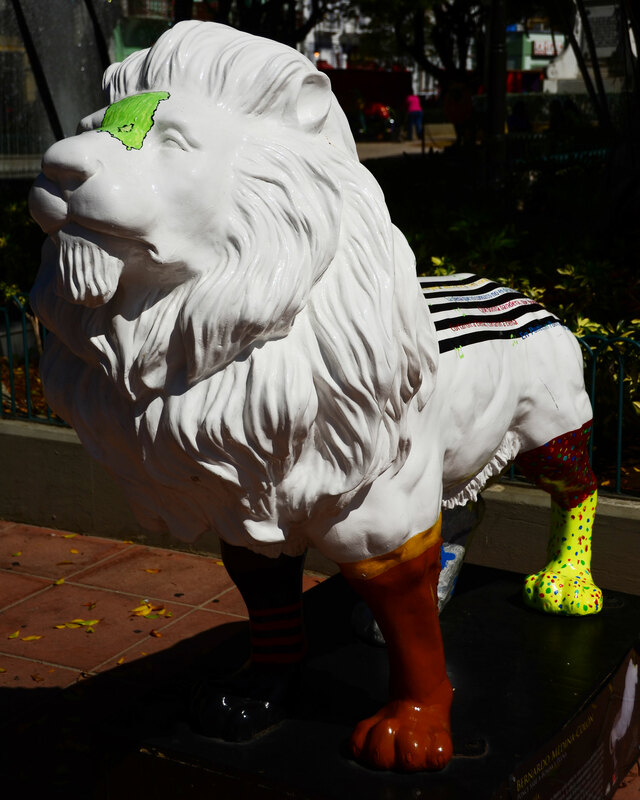 That is all an aside really to telling you about the lion parade. Unbeknownst to me until today, when I actually looked it up, the lions have been on display for the better part of the last year. I think that is a comment on the island news media – I had heard nothing about it and this was not my first trip to Ponce in the last 12 months. 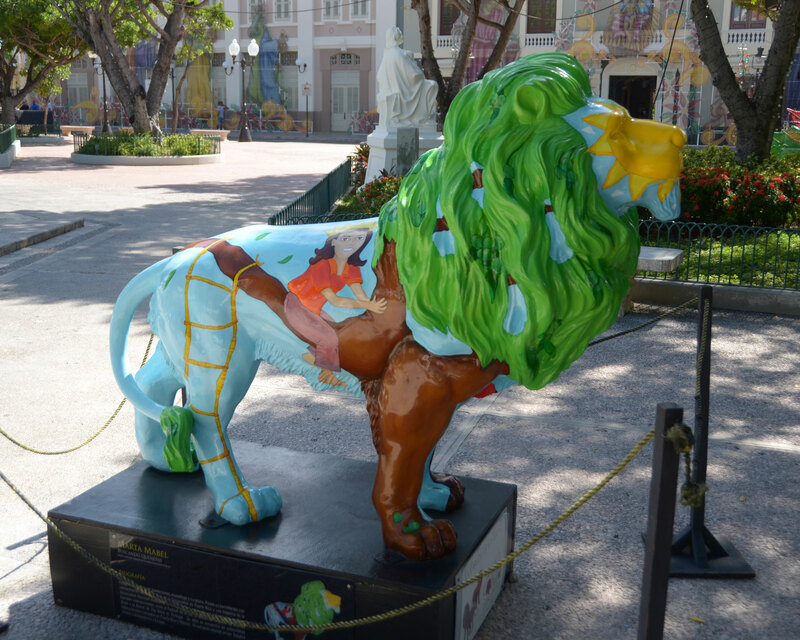 The lions have been painted by different artists and represent different aspects of Ponce’s character. 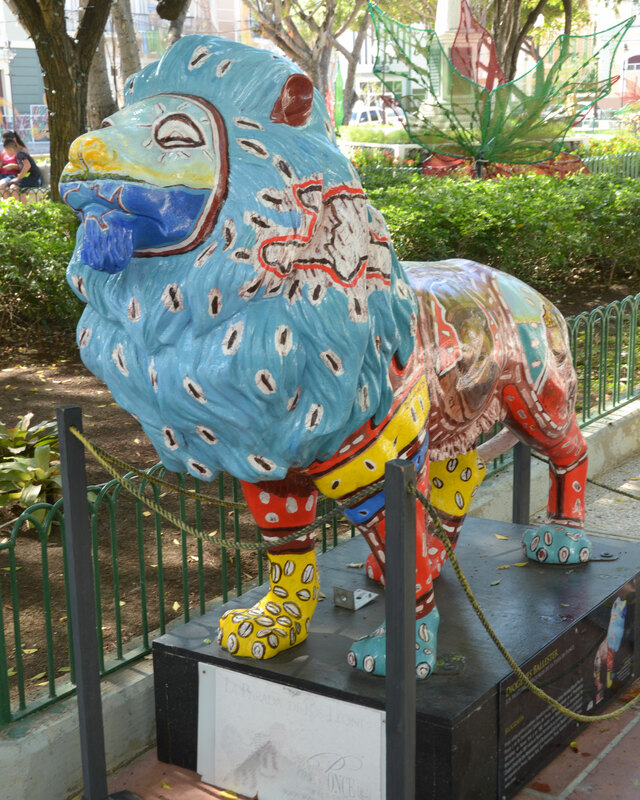 If you want to see them, visit the Plaza las Delicias in Ponce. Here are some of the pictures I took. 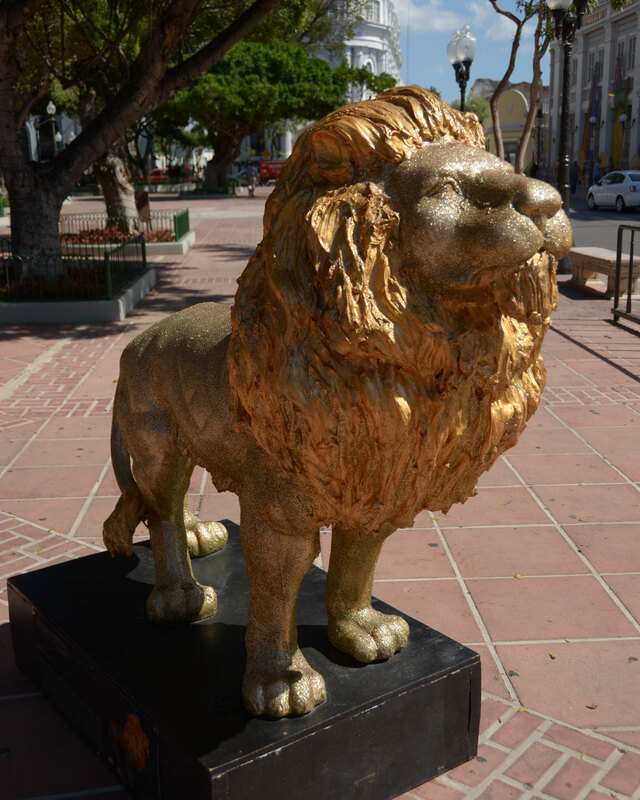 Test your knowledge of Ponce to find the significance of each painting.